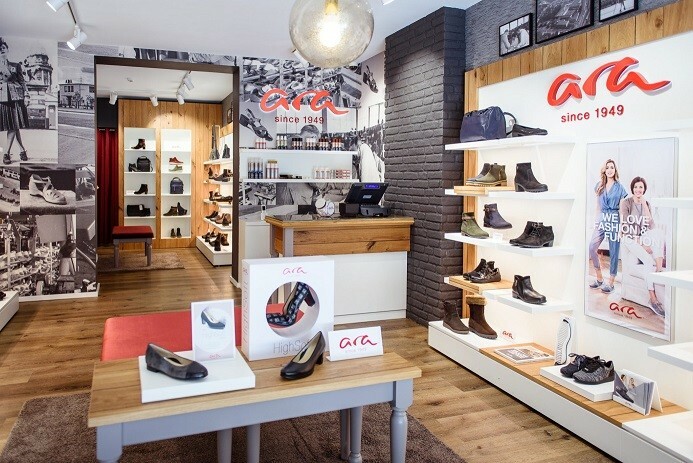 Ara’s new store inauguration was Thursday, 13th, 2018 in the heart of the Portuguese capital, in Saldanha. This new space reinforces the brand’s presence in Lisbon. It’s a wide store with modern decoration and a broad diversity of genuinely comfortable footwear models.